Reps. Michael McCaul, Donald M. Payne Jr. and Dana Rohrabacher count things in threes. The congressmen are all fathers of triplets. McCaul and Rohrabacher’s sets are two girls and a boy; Payne has two boys and a girl. HOH asked two of them about life with their trios. 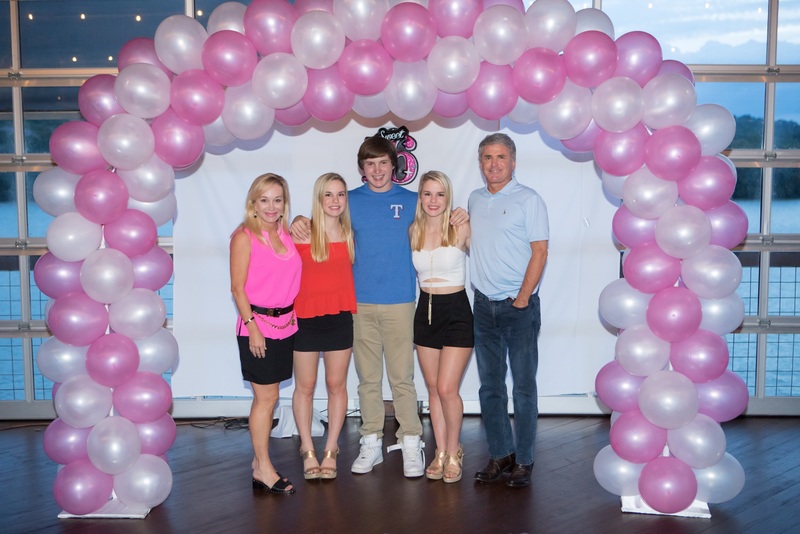 McCaul’s triplets are Lauren, Avery, and Michael, who turned 16 in August. Michael is not a Michael Jr., because his middle name is Addington, after a McCaul ancestor William Addington, who fought in the Revolutionary War. Q: What do you like to do with your kids when you’re home? A: Go to the iPic in Austin to see movies, and spend time with them at the family ranch. Although, Lauren and Avery do make me watch “Gossip Girl” reruns with them. Q: What are the difficulties with raising triplets? A: Two parents, five kids. [Editor’s note: the McCauls have two older daughters.] We are outnumbered. We went from man-to-man to zone defense. Q: Have you seen any of the three children having an interest in politics? A: Yes, my son Michael. He’s shown an interest in the military aspects of politics and the possibility of attending a service academy. Fun fact: Lauren and Avery are also identical twins. Doctors estimate that the chances of a birth of this type in triplets range between 1 in 120,000 to 1 in a million. 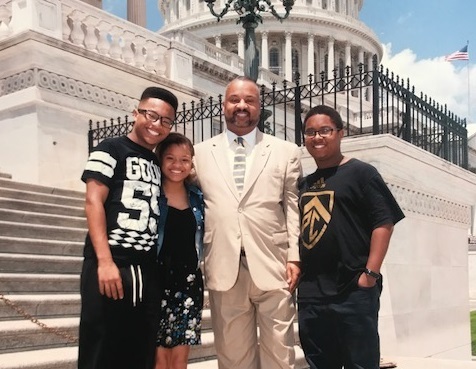 Rep. Donald M. Payne Jr., D-N.J.
Payne’s triplets, Donald III, Jack and Yvonne, are 19 years old. Donald was named after his father and grandfather, former Rep. Donald M. Payne Sr.
A: We spend a lot of time with me joking around. I’m kind of a jokester, just trying to make them laugh. I used to do this thing when their mother wasn’t home — we played musical instruments with the pots and wooden spoons and we marched through the house. Only when mom wasn’t home. A: When it’s multiple, people always say, ‘Oh my God, how did you do it? Wow, all those diapers.’ It really wasn’t the diapers for me. It was the formula. Having the milk for them. With three, you weren’t able to feed them all naturally, so the formula became a big part of our lives. I was spending more on baby formula than I was paying in rent for our house. A: Jack has a desire to be in public office. He wanted to be like his grandfather. Jack has always wanted to grow up and be like his grandfather, which is fine with me because I’m trying to be like his grandfather as well. He’s majoring in political science at St. Peter’s University in New Jersey. 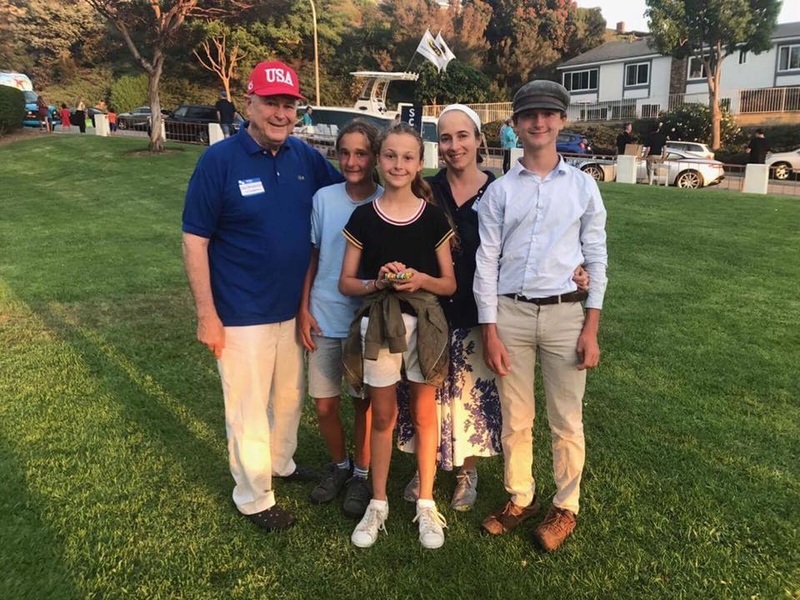 Rohrabacher triplets are Annika, Tristen and Christian, who are 13. The triplets join the congressman on trips around his district, such as one to Spyglass Hill Park in Corona over the August recess, pictured above. Last year, the congressman repurposed his friend’s recreational vehicle and drove it across the country with his triplets.